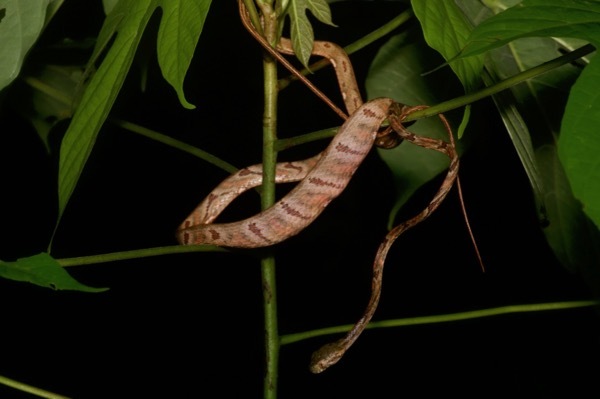 This species is an ecological equivalent of the new world's Imantodes, using its very long and thin body to stretch from branch to branch in search of sleeping lizards to swallow. This one must have had some recent success in that department. 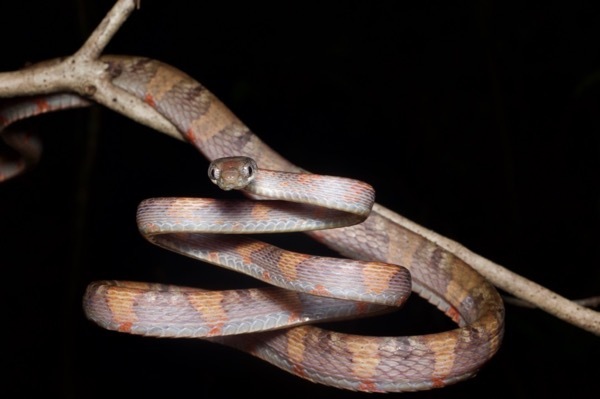 I saw this snake slithering slowly across the trail in front of me, and recognized it as a Boiga right away. It wanted to just keep on moving, but I wanted it to sit still for photos. This disagreement continued even after I put it in some nearby foliage. Perhaps I could have eventually won the argument, but the snake had more stamina than I had patience, and I settled for a mediocre shot or two. 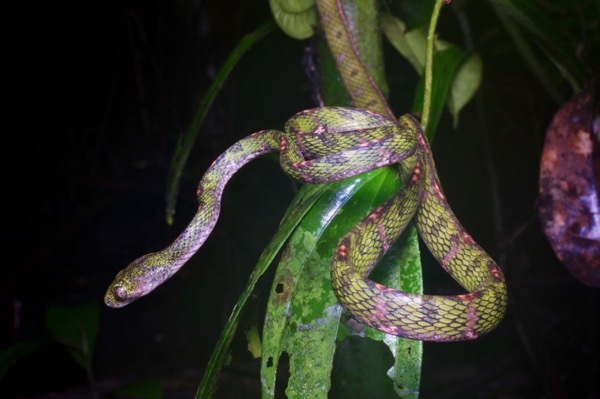 I was surprised to discover that this snake was the same species as the one I had seen in Selangor, since the colors and pattern were so different. And yet, the same species it was. Woe to any sleeping lizard that thinks it is on a safe perch, far from the nearest other vegetation. 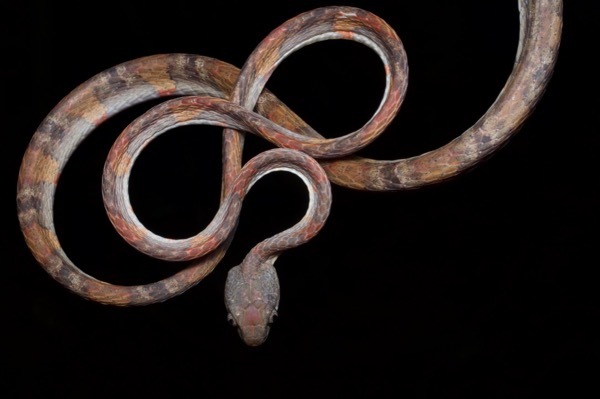 These very long and thin snakes can support most of their body from a contact point or two near their tail ends, thus enabling them to stretch out to reach seemingly unreachably distant branches.